Eric Schmidt, the chairman of Google opined that Internet will soon disappear as there would be so many IP addresses, so many interactive devices that it would be difficult for people to discern what falls in the paradigm of the world wide web. All that is part of the internet will become a part of one’s being. This truly has been the premise of the Internet of Things (IoT) that started entering different industries since 2015. IoT has spread from Smart Homes to wearable devices to even the event management industry. Event management industry has seen a sea change since its inception. With increased penetration of technology, event managers are no more dependent on manual attendee logs and direct collaborations. From mobile apps that can take care of event registration and program agenda to augmented reality for those unable to attend the event in person, event managers are exploring different technologies to engage their attendees as much as they can. With event management industry using technology increasingly, Internet of Things (IoT) has also made its foray into this sector. In fact, nowadays event managers are looking at using event apps beyond event registration. IoT is being increasingly used to create engagement opportunities throughout the event. What is making event managers increasingly explore the potential of IoT? IoT allows you to connect wirelessly through different devices that can be managed remotely. Connectivity is the key behind the use of IoT devices in event management. One of the basic uses of IoT has been in attendee management through different registration apps that saves the attendees from standing in long queues. Introducing the idea of Smart Parking has empowered attendees to choose their own parking slots. One of the best innovations of IoT has been the introduction of RF mats to track attendee attendance. Connecting these mats to the attendees’ mobile devices via Bluetooth can give them a fair idea about the floor plan and floor traffic. These IoT applications are indeed giving an edge to the event management industry. 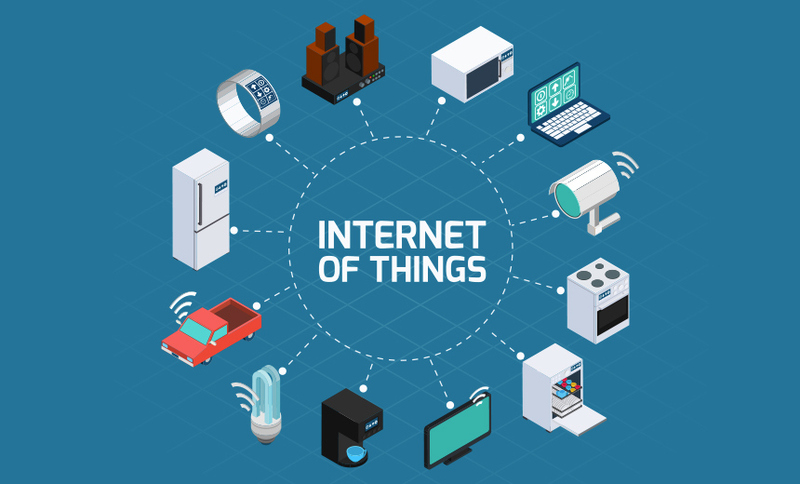 For IoT devices to achieve seamless interconnectivity, silicon implementation in the form of system-on-chip (SoC) is considered to be the best solution. SoCs are able to use a single chip to integrate the functionalities of computing resources and sensors. This enables IoT devices using SoCs to consume less power, thereby reaching power efficiency. Power efficiency coupled with wireless interconnectivity is what is making SoCs the ultimate answer to all the limitations faced by IoT devices. Technology companies developing SoCs are intending to use sub-threshold or near-threshold techniques to develop IoT devices with long lasting batteries. There has been practical application of this technology where Ambiq Micros’s sub-threshold power technology platform has been adopted and implemented by Huawei in its fitness wearable product line, Huawei Band Pro 2. The global SoC-IoT innovation trends of 2018 has shown that power efficiency is one the key benefits of SoC-IoT collaboration. Hence from health industry to retail industry to event management, power efficient IoT devices are currently in vogue. Different technologies like fully depleted silicon-on-insulator (FD-SOI) and implementing memories with reduced leakage during sleep mode are being experimented on by the current SoC design. In the event management industry it is very important that the event managers and the attendees are connected pre-event, during event and even post-event. If smart devices are being used to promote virtual collaboration, then the first thing that the industry needs is power-efficient devices. As IoT devices are flooding the event management industry, SoC enabled power efficiency is slowly becoming the driving force behind technological advancement. Power efficiency is becoming one of the key global SoC-IoT innovation trends. SoC enabled IoT devices are finding increasing acceptance in different industries as power management and interoperability are the two driving forces of any IoT device; and these key attributes are being achieved through SoC integration. As interconnectivity and power-efficient devices are becoming a basic necessity for ‘Smart’ event management, SoC-IoT collaboration is becoming a niche driver of the event management industry. Kevin Maddox is the internet marketer of one of the emerging tech giants in USA. He has nine years of experience in technological research, especially on interconnectivity through IoT. He has published her insights on global SoC-IoT innovation trends on various established websites.